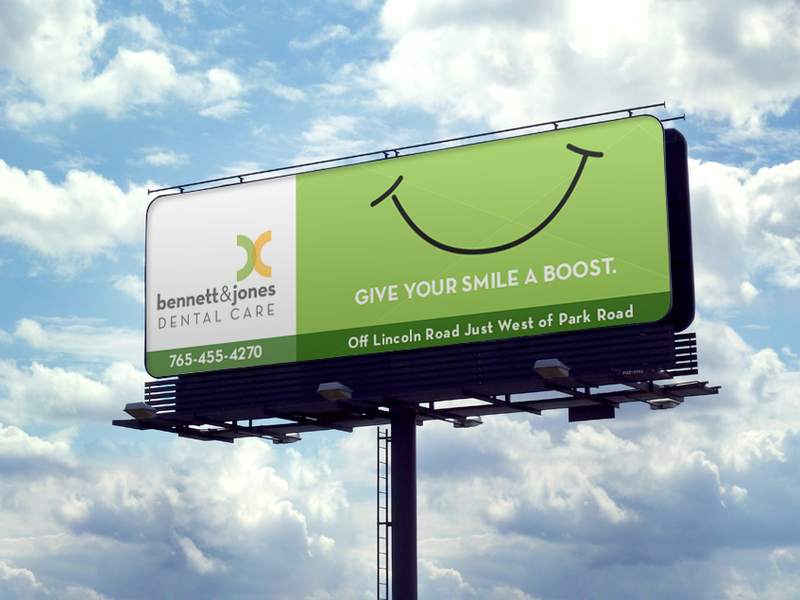 I worked with Red Rover Media to produce a billboard for their dental client in Kokomo, IN. They had a design system in place, and I helped translate that for a billboard. 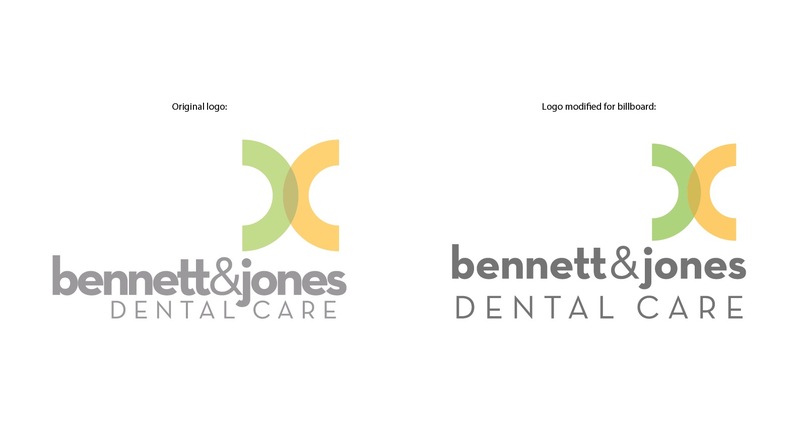 The Bennett & Jones logo is fairly subdued color-wise, and densely arranged, so I bumped up the saturation and loosened the spacing to give it more impact. In place, it would read better at a glance at a distance.